A new leak emerging from China has claimed that Xiaomi is working on its first dual-edge display smartphone, believed to be dubbed Mi Edge, likely to launch in October this year. The tip comes from KJuma’s Weibo account, a tipster who in the past leaked details of unannounced handsets being manufactured in China, and has been corroborated by MyDrivers, which has even shared what appears to be a mock-up image of the Xiaomi Mi Edge. According to the preliminary details, Xiaomi’s new smartphone will feature a 5.2-inch QHD display with 565ppi pixel density and will also sport dual-curved display, similar to the ones seen on Samsung Galaxy S6 Edge and Samsung Galaxy S6 Edge+. Under the hood, the handset is said to be powered by a hexa-core Snapdragon 808 processor coupled with 3GB or 4GB of RAM. One of the reports points that there is a possibility that Xiaomi includes a fingerprint scanner on the Mi Edge smartphone. Lastly, the dual-edge display handset is said to launch in October and will be priced at the equivalent of $391 (approximately Rs. 26,000). Last week, a new Xiaomi Mi 4 variant after the Xiaomi Mi 4i, believed to be the Mi 4c smartphone, wasspotted at a Chinese certification authority, as well as on an AnTuTu benchmark listing. By looking at the images in the Tenaa listing, the Mi 4c seemed to sport a similar design as the Xiaomi Mi 4i. 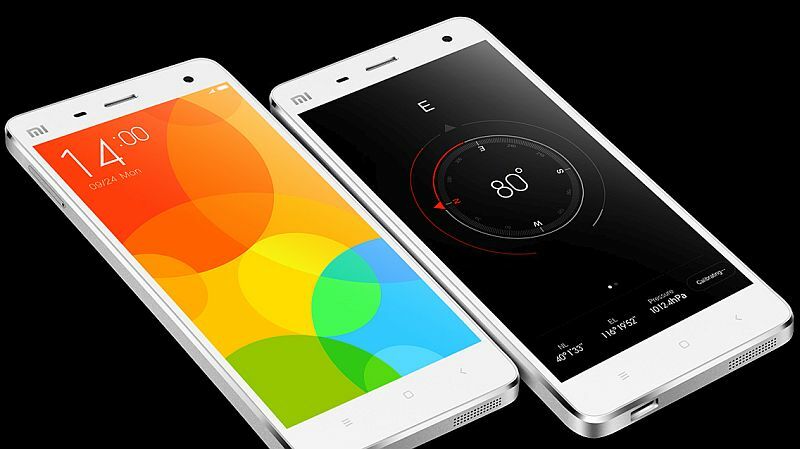 The Mi 4c was spotted in a White colour variant. The AnTuTu benchmarks also listed the alleged Mi 4c’s specifications, which included a 5-inch full-HD (1080×1920 pixels) display; a 1.4GHz hexa-core Qualcomm Snapdragon 808 processor; 2GB of RAM; MIUI 7; a 13-megapixel rear camera; a 5-megapixel front camera; 16GB inbuilt storage; 3G; GPRS/ EDGE; 4G LTE; dimensions of 138.1×69.6×7.8mm, and a weight of 130 grams.